The school offers a broad spectrum of topics in observational and theoretical, galactic and extragalactic astrophysics, observational and theoretical cosmology, fundamental physics with astronomical tools and instrumentation. In addition to the main expertise in radio and (sub-) mm astronomy of the MPIfR, there are PhD topics in a broad range of contemporary astrophysics, techniques, methods and energy bands. • Funding for travel and research. 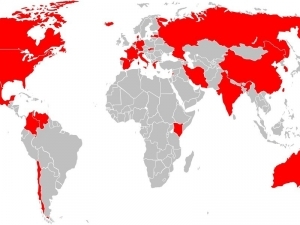 Countries of origin of our IMPRS students. 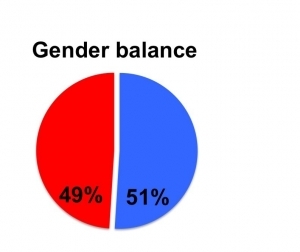 Gender balace of IMPRS doctoral candidates: 49 females vs. 51 % males.